Next week, ERTFLOW will be at ACHEMA fair showcasing our services and technology in Frankfurt (Germany) from 11-15 of June 2018. At ACHEMA 2018, the new Flow Chemistry Pavilion will host the most advanced, innovative companies & knowledge institutes in the continuous manufacturing market, presenting an opportunity for visitors to learn more about this increasingly important topic! 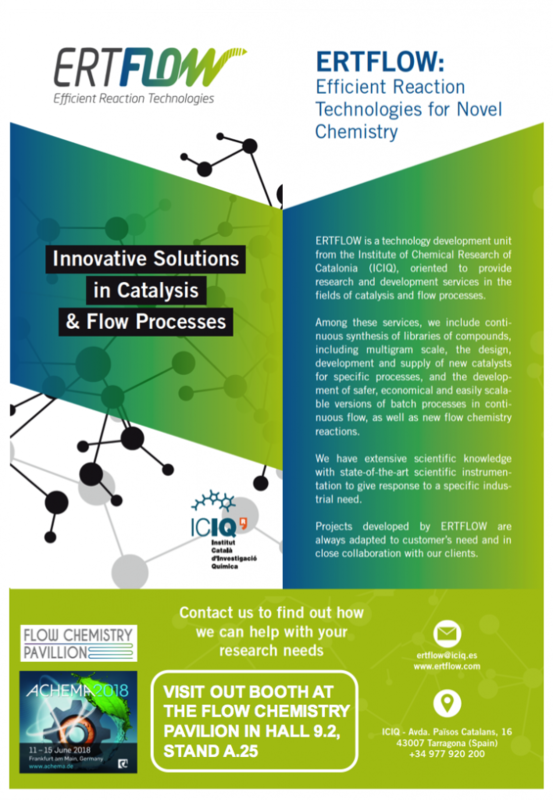 Here you will find information not only about ERTFLOW but also about VIRO-FLOW project and ICIQ.